An electronic backing/hitching system that assists drivers with connecting towing devices such as trailers, haulers, etc., to ball hitches attached or affixed to vehicles. wireless communication between transmitter unit and receiver. Indicates which direction to steer while backing to trailer and when to stop., User will be able to efficiently back any vehicle to any trailer without someone guiding them. I do have a working prototype that will go with the patent. Prototype works great as is but would need to be made more compact. 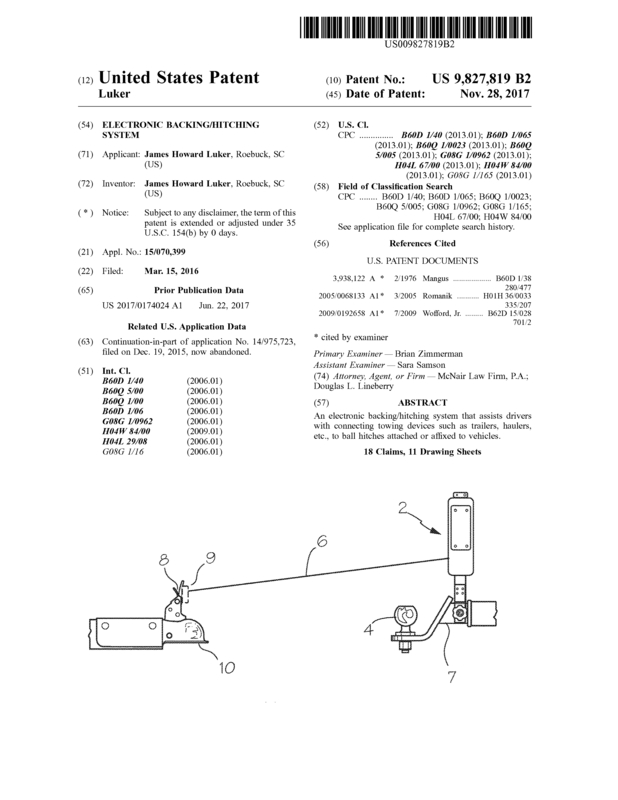 Page created at 2019-04-25 18:22:44, Patent Auction Time.